I thought I would share another quick meal with you . I got home at about 930pm the other night and was starving, as usual. 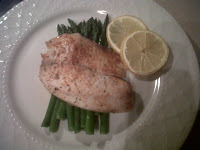 After a quick scan of the fridge, freezer and pantry, I decided on Tilapia and Asparagus. I had planned on using the Tilapia to make fish tacos, but was in no mood to chop, dice and search the refrigerator for all the components I wanted on my tacos.... so, quick and easy baked Tilapia won. 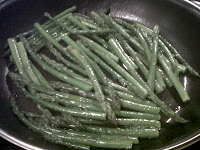 As you wait for the oven to heat, set a pot of water on the stove to boil for your asparagus. Rub the fish with olive oil and season with salt/pepper and Emeril’s/your spice mix. 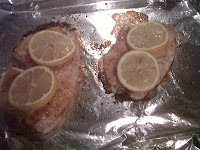 Place 2 lemon slices on each piece of fish and place on a foil lined cookie sheet. 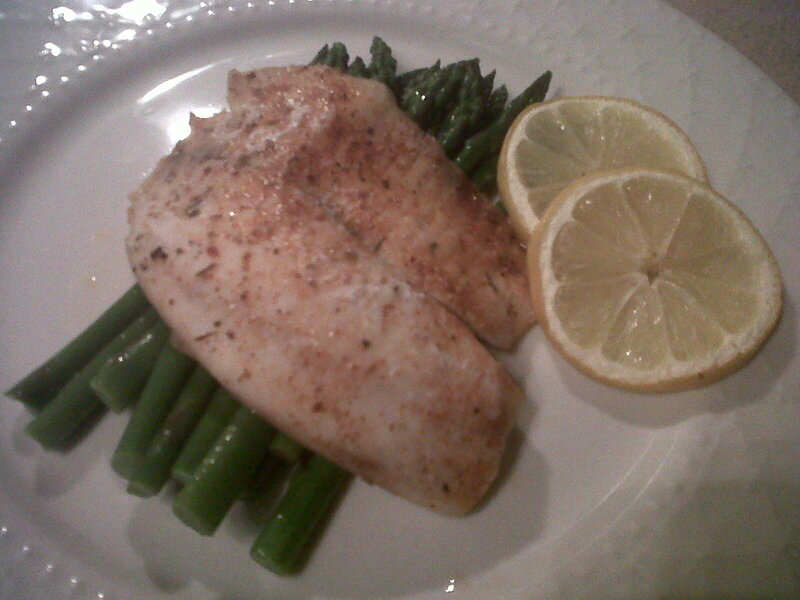 When your fish is about 5 minutes away from being done, heat a pan with the butter and add your asparagus (I use tongs to pull it out of the ice bath and drop it directly into the hot pan). Once the fish is done, plate with the asparagus…. 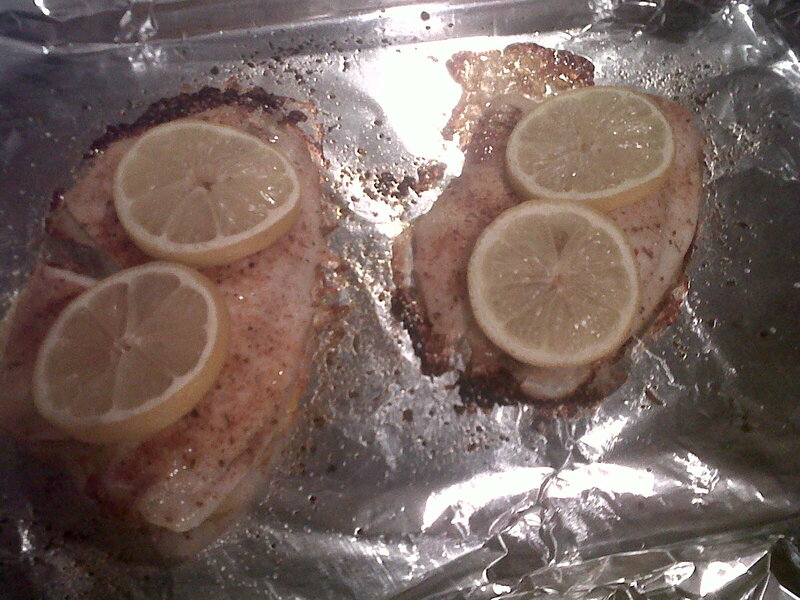 Don’t forget to squeeze the lemon on your fish, and enjoy! Hope you all have a fantastic and YUMMY weekend! See you on Monday for “Monday Funday”.